Kaitlyn attended Law School at the University of Saskatchewan in Saskatoon where she obtained a Juris Doctor degree in 2017. Prior to Law School she earned a Bachelor of Arts in Law and Political Science from Carleton University in Ottawa, where she was on the Dean’s Honour List. While in Law School, Kaitlyn was awarded a merit based scholarship to participate in an academic exchange at Lund University in Sweden. Additionally, during her Law School studies, she volunteered as an upper year mentor, Moot Court judge, and law student assistant at the Saskatoon Family Legal Assistant Clinic. 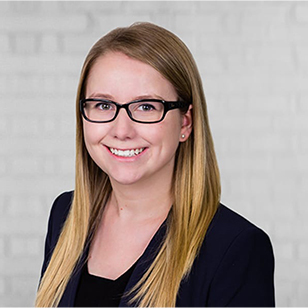 Prior to joining Brown Law Group, Kaitlyn completed her Articles at a law firm in Peace River where she gained valuable experience in Family Law. In her spare time, Kaitlyn enjoys spending time with her family on the West Coast, traveling and attending live music events. She speaks Intermediate French.